Ukraine has increased its military presence in the Azov Sea region. 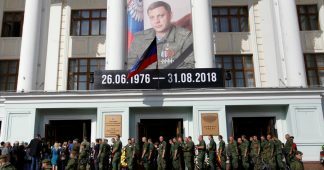 Ukraine’s National Security and Defense Council met on Sept. 7 and agreed to take a variety of steps to boost the country’s combat capabilities in the area, including the creation of a missile-equipped naval infantry group to counter potential amphibious attacks and naval shore bombardments. Ukraine’s Gurza-M-class armored artillery boats have been brought in to boost the naval component of the forces deployed in the region. Russia and Ukraine enjoy free use of the Sea of Azov under the 2003 “Agreement between the Russian Federation and the Ukraine on cooperation in the use of the sea of Azov and the strait of Kerch.” The document is in place but it does not specify any precise border. The parties agree that the Sea of Azov and the Strait of Kerch are the internal waters of both Ukraine and Russia. Talks have dragged on for a long time but have failed to produce a solution. Ukraine does not want to recognize Russia’s rights, which are based on the fact that Crimea has joined the Russian Federation. 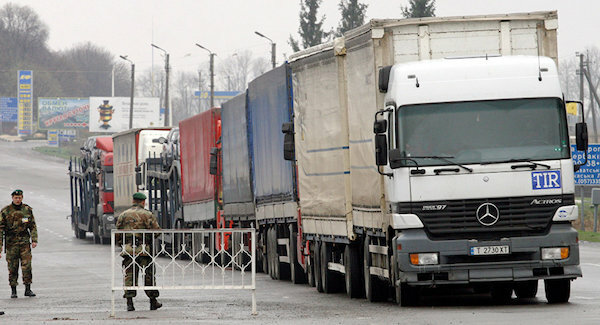 Moreover, Ukrainian authorities insist on their right to detain any ship traveling to or from Crimea without Kiev’s permission. Ukraine is calling for the imposition of international sanctions against Russian Black Sea ports, due to what it calls the “blockade” of the Sea of Azov. It has already imposed punitive measures unilaterally. Tensions have heightened since March, when ships were detained and searched. On March 24, Ukrainian border guards stopped the Russian-flagged, Crimean-registered Nord fishing vessel in the Sea of Azov. The ship was hijacked. The crew members reported being interrogated and abused by Ukrainian authorities who held them accountable under domestic laws, not recognizing the crew as Russian citizens. The detained sailors were finally set free to return to Crimea without passports. Ukraine violated a number of international agreements and this marked the beginning of a campaign of provocative actions that has been waged ever since. Last month, the Russian Mekhanik Pogodin tanker was detained in the Ukrainian port of Kherson. 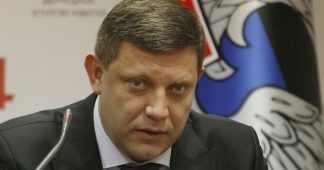 Russia compared the move to the activities of Somali pirates. The US is taking sides in order to ratchet up the tensions. 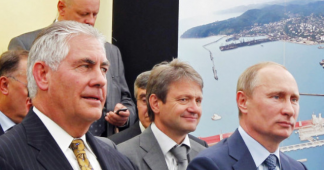 The State Department has taken a deliberately provocative stance, urging Ukraine toward confrontation. Without bothering to study the details, it simply puts the blame on Russia as usual for anything that goes wrong. 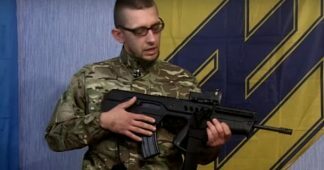 Washington is goading Ukraine into seeking a military solution, including such unrealistic but dangerous ideas as using the warships of NATO’s standing force to protect its shipping lanes, mining the Azov Sea, or using fast-moving attack vessels to encircle a large Russian naval asset from all directions like a wolf pack. This tactic was invented by German Admiral Karl Dönitz during WWII, when “wolf packs” of U-boats were used to attack capital ships. The very fact that such ideas have been generated and are floating around shows how unwise it is to abet Ukraine by throwing unconditional support behind it. The powers that be have failed to keep their promises and improve the lives of ordinary people in Ukraine. The presidential election will be held in March 2019. A threatening Russian bogeyman is needed to explain away the failures. The country’s economy and finances are in the doldrums and corruption is staggering. None of the problems have been solved and the West is getting tired of Ukraine. The fairy tale about Moscow’s “aggressive foreign policy” comes in handy right when the Ukrainian rulers need a scapegoat. Nobody needs an armed conflict in the Azov Sea region. A number of countries are interested in protecting the right of free passage, enabling vessels to arrive at their destination ports without risk or delay. The region does not have to be a flashpoint. Russia and Ukraine could sit down at a round table to discuss controversial issues, as the 2003 agreement stipulates the parties should do in order to settle their disputes, should they have any, but that’s not what the State Department is calling for. 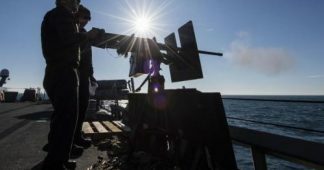 The only option the US administration is considering is that of providing Ukraine with arms to fight Russia and then egging Kiev on to escalate the tensions. And those are already dangerously running high. A spark can ignite a big fire at any time if the problem is not addressed in a positive way without saber rattling. It’s a pity the US is playing such a destructive role. The time is right for Russian and Ukrainian experts and officials to set their differences aside and start talking to find a peaceful solution to this urgent problem.